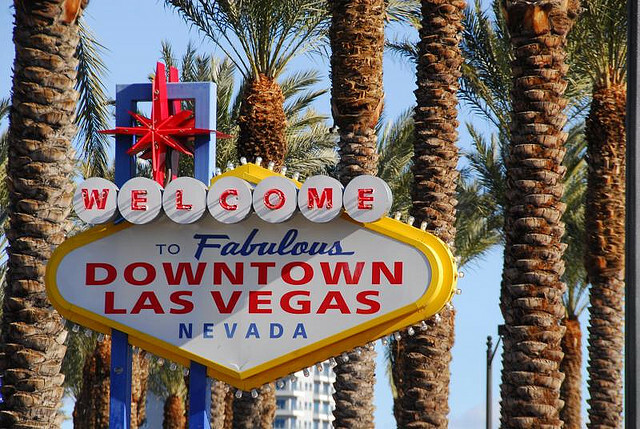 Our latest Freakonomics Radio episode is called “Could the Next Brooklyn Be … Las Vegas? !” (You can subscribe to the podcast at iTunes or elsewhere, get the RSS feed, or listen via the media player above. You can also read the transcript, which includes credits for the music you’ll hear in the episode.) The gist: Zappos CEO Tony Hsieh has a wild vision and the dollars to try to make it real. But it still might be the biggest gamble in town. Tony Hsieh is the CEO of Zappos, the online shoe and clothing retailer, presiding over a corporate culture that most corporations wouldn’t recognize. (His book is called Delivering Happiness: A Path to Profits, Passion, and Purpose .) Among Hsieh’s priorities at Zappos: having fun, empowering his call-center employees, and making customers happy at almost any cost. We’ve written about Hsieh and Zappos before – how, for instance, company meetings are sometimes held in a bar. And why customer reps are encouraged to talk to a customer for as long as they want, all without a script, how they authorized to settle problems without calling in a supervisor and can even “fire” a customer who makes trouble for them. And how Zappos gives new employees a chance to quit their brand-new job and get a quitting “bonus” because Hsieh figures he’d rather weed out anyone who doesn’t really, really want to work at Zappos. A few years ago, Zappos relocated its headquarters from the southeast edge of Las Vegas into the old downtown area. But Hsieh, being Hsieh, didn’t settle for some random address: Zappos moved into the old City Hall. So today, the former Las Vegas city council chamber is an auditorium for company events. The old jail has been converted into an employee gym. And once Zappos made over City Hall, Hsieh began to wonder if downtown itself might need a makeover. He thought it might be nice to convert it from an underused, outdated, car-centric area into a dense, vibrant, walkable place for living and shopping and eating and just hanging out — a bit like a western Brooklyn or a desert Austin. One of Hsieh’s main inspirations was the Harvard economist Ed Glaeser, who four years ago published a manifesto called Triumph of the City: How Our Greatest Invention Makes Us Richer, Smarter, Greener, Healthier, and Happier . The resulting effort is called The Downtown Project, backed by Hsieh’s $350 million investment. It is simultaneously a real-estate play with a startup vibe and a venture-capital gamble aimed at incubating whatever kind of firms will make downtown work. The project has already encountered plenty of friction, and will almost certainly encounter more. But its ultimate outcome isn’t the prime concern of this podcast. We wanted to talk about what makes a modern city successful, and whether that success can be engineered in a different way than it has been in the past. HSIEH: A lot of city revitalization projects are really top-down, master planned, and we’re really anti-that. It’s really more about backing the entrepreneurs and their passions, and so our goal is to help accelerate stuff, help make Downtown Vegas a place of inspiration, entrepreneurial energy, creativity, innovation, upper mobility, discovery and all that combination of creativity and entrepreneurism. GLAESER: When you look at the globe and what building cities usually means– it means that somebody has come up with a couple billion dollars to build some form of project – a convention center, a sports stadium, maybe something to do with transportation — and then they try to wrap a city around it. And sometimes it works, at least half of the time it doesn’t, but it’s very much of the view that cities are physical structures and let the people follow that. Hsieh was remarkable because his view was that the structures should actually follow the people. That’s a view I largely share, that actually focusing on the real heart of the city, which is always the humanity that is dwelling in that city, is the right thing to do. GLAESER: I think historically the great weakness of Las Vegas has been education. So much so that in my earliest work documenting the connection between education and urban growth, Las Vegas was an obviously huge outlier because it grew so quickly and had so little of a base in terms of share of the population with a college degree. And in the city you still have about 21% of Las Vegas adults with a college degree, which is a lot closer to Detroit, which is about 12%, than it is to Seattle, which is about 50%. And I continue to think that that is Las Vegas’s greatest challenge, is making itself attractive to a wider range of skill categories. You can hear more of Glaeser’s take in our earlier podcast “Why Cities Rock.” And you can let us know what you think of Hsieh’s ideas in the comments below. Special thanks to Adam Burke for production help and to Brian Paco Alvarez for the Zappos tour and his wealth of Vegas information. Interesting that it wasn't mentioned that Hsieh stepped down from the Downtown Project last October, amid accusations ranging from minor to serious. Both of Hsieh and the project itself. Seems like we really only got one side of the story here. Sounded like a lot of back patting. This podcast had an odd "Yaaaay Zappos Downtown Idea" when New Urbanism is such low hanging fruits to rail on the distortion of transportation and housing markets through government intervention and subsidies that have only hampered most of our cities with too much infrastructure to care for with the level of taxes paid like some crazy cat hoarder, and allowed the country to self-choose to become more segregated in the suburbs than when segregation was actually legal. To me Freakonomics best talks about the perversion of incentives, so why not look at the huge subsidies needed for us to all be able to drive places rather than just walk? The mall and "big box" stuff has generally been placed in the suburbs-- particularly out by Interstate circumferentials. Your comments regarding post-war urban sprawl seem more apposite to the latter case and, in fact, outer-suburban governments are experiencing fiscal stress because they are literally spread too thin. The center cities of the Rust Belt were pretty much built out to their corporate limits before WW2. Infrastructure was built many years ago to serve a dense population and is now deteriorating. The problems here have etiology in depopulation, regressive tax structure or both-- in a very tight negative-feedback loop. As other commenters have mentioned, Las Vegas is an outlier urbanistically and environmentally. Whatever we think about Hsieh's corporate policy-- or about Hsieh personally-- I think he has the right idea: that the cores of center cities (especially those like Las Vegas) need to be more tightly packed. While it's hard to imagine Vegas as a walkable city, that will never happen without the requisite density. We've always had growth policies of some sort in this country. It would be interesting to see if we can come up with a strategy of urban retreat that we can live with psychologically. Interesting podcast. Sandy (Alex) Pentland at the MIT Media Lab would have an interesting perspective on this. To develop LV in the way they are suggesting and promoting in this podcast is shortsighted and unsustainable. This city exists in the middle of a desert, has no sustainable source of water, and no one seems to be considering the stress additional population would cause to the system (Brooklyn on the other hand does have a sustainable water source -- whether their endeavors consider environmental stress is another conversation --). Additionally, all of the enterprises mentioned are based on extracting more resources, producing unnecessary goods. It is unfortunate that environmental stress on this region hasn't spurred more innovation -- pushed people to reconsider the strengths and needs of their community, rather than continuing to rely heavily on scarce environmental resources and outside purchasing of unnecessary products and services. This episode makes me sad. What do you think would happen if hsieh or anyone else who wanted to attract millilnials offered to payoff peoples student loans in exchange for living in said city for 5 years? Would the city gain the same if not more as multi billion dollar revitalization plans? That'd be an interesting incentive, for sure! was this article wrtten 10 years ago? no mention of the current owner of zappos ---who owns zappos? (hint: click on this pop up) what relation does this site and its runners have this the owner of zappos? you all have sold out. also see average random joe's comments. Wow, I can't believe it. In 10 years of being the biggest fan, you finally bored me with a podcast. Bummer, so sad. Looking forward to receiving the new book for Father's Day. I am sure you guys will redeem yourselves. I tried to do business with the Downtown project in 2014. I tried to bring a 500 person 2 day, weekend seminar of technology-savvy people that would have included multiple downtown hotel room rentals, multiple large room rentals for the seminars, meals, special events, etc. I was met with a staff that didn't return emails for a couple days if they were replied to me at all as well as pricing that was much higher than any of the hotels would have charged. Eventually I brought the event elsewhere except I threw them a bone by doing an appetizer/pre-paid drink party to the Gold Spike that cost a small fortune. I moved to Las Vegas and lived downtown specifically because of what Hsieh was doing but since his staff was too busy/unconcerned with what I tried to bring to downtown I took it elsewhere. We know the Downtown project laid off a bunch of people that were not generating revenue but they laid off the wrong people or should have moved people to revenue-generating positions so they could have tried to help bring more events downtown rather than shun business opportunities. Freakonomics! (besides the prior comments) after looking up photos of Container Park and the Trailer Park with it's neon signs and cartoon architecture I felt as though you didn't quite tell the whole story. Let's explore engineered new urbanism more and the egos behind it. It's fine. Vegas is supplied by Colarado River. That would never run dry... would it? "...and yet the very success of these companies basically kills of the tradition of entrepreneurialism and capital. It trains people who make superb company men but not scrappy entrepeneurs." Working downtown, I have seen first hand this project has done nothing to change the basic composition of downtown. Window dressing and handouts to friends of Heish is not urban change it is only stroking his ego. They should focus on public transportation and infrastructure to make access to the downtown easier. The main makeup of this entire city is Travel and Tourism based gambling and entertainment....not high tech and startups. Anything out of that model will not work or be sustainable until major improvement and a wholesale educational change is made. You left out the most important factor in parenting success. Do the parents encourage homework and study.